As of now, 140,000 living Native Americans are veterans of the U.S. military—more than 16,000 of them female. 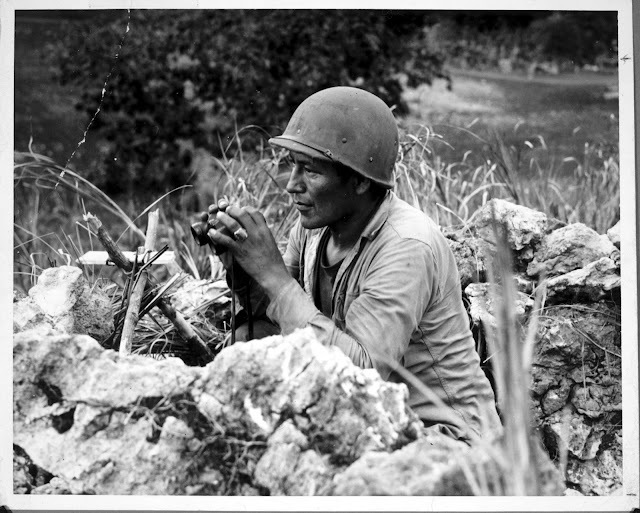 Reflecting on the service of Native Americans in the United States military, one is likely to picture the embattled Navajo code talkers of World War II, whose decryption-resistant communications stymied the Japanese and proved instrumental in securing key Allied victories in the fight for the Pacific. 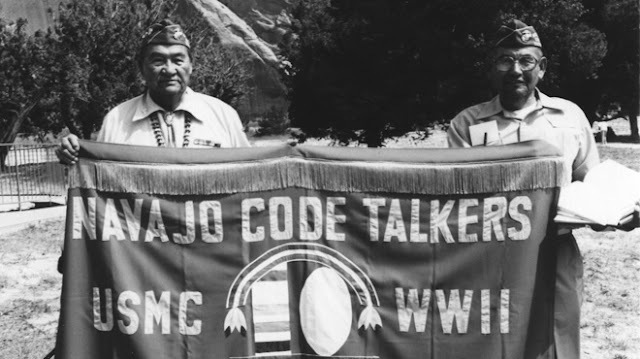 A sterling example of Native American warriors’ composure and commitment under pressure, the code talkers’ story is but a small piece of a much larger narrative. Too often forgotten, the depth of sacrifice of all manner of Native American peoples across American history cannot be overstated. As of now, 140,000 living Native Americans are veterans of the U.S. military—more than 16,000 of them female. This in addition to the 31,000 American Indian and Alaska Native servicemen and women who are currently fighting on behalf of this country abroad. 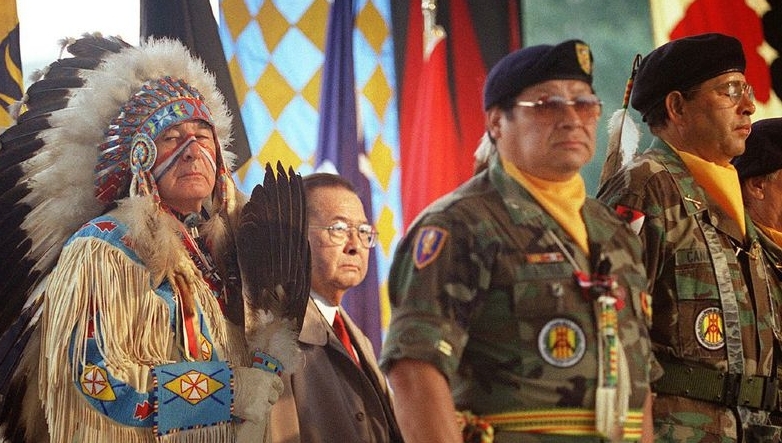 The National Museum of the American Indian has announced that it will be soliciting designs for a Native American Veterans Memorial. The competition opens on November 11. Finalist submissions will be chosen by January 25, and the winning design will earn a prominent place on the National Mall. Veteran’s Day is an apt jumping-off point for the conceptualization of this tribute, which will honor Native American personnel who have served patriotically in all branches of the U.S. military dating back to the country’s inception. Congress has declined to apportion federal funds for the memorial, but Kevin Gover, director of the National Museum of the American Indian, is unbowed. Vocal and radically optimistic, Gover does not doubt the resolve of the Native American community to see this project through to completion. Responses to "A New Memorial Will Soon Honor the Heroism of Native American Veterans"
Please assure us that the current POTUS will not be a part of the dedication! If no taxpayer money is not being used he should have no part in the ceremony. much good ! we love all our Vets !!!!! Awesome to hear this... your fellow 30 yr First Nation Canadian Navy Ogiitchiidaa Veteran... BZ!! !